Yesterday, I ran in a 5K race at AdvoKate, a charitable event held in remembrance of Kate Hrischuk, a local six-year-old girl who died of brain cancer in 2007. Her family started this inspiring annual event to honor her as well as to benefit St. Jude and its research on pediatric brain tumors. So you couldn’t help but feel good running in this race! 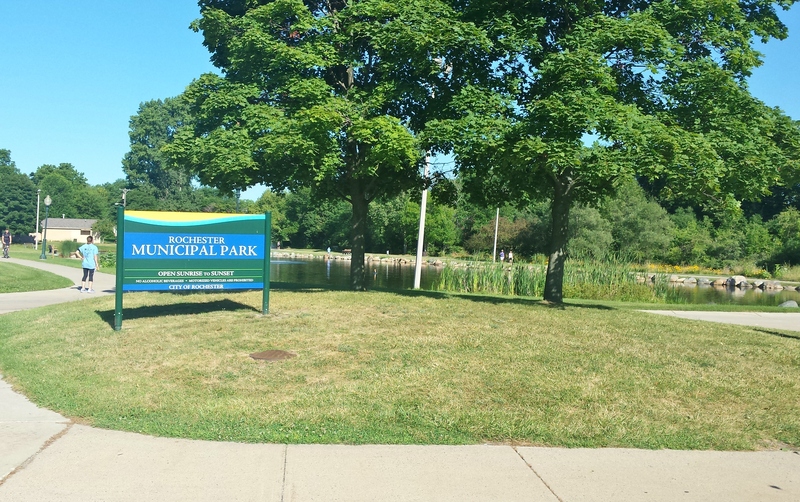 Not to mention, it was a gorgeous, clear-skied, sunny summer morning, and the Rochester Municipal Park – the race headquarters – is a beautiful facility. It contains a lovely pond, play areas for kids, and paths that are great for running, biking, and dog-walking. The race trail wound through the park, downtown Rochester, and surrounding residential areas. As you would expect if you’re familiar with Rochester’s topography, it was quite hilly – and okay, going up the hills really sucked at times. But the ease of the downslopes made those uphill battles totally worth it! You can learn more about AdvoKate at http://www.advokaterun.org.